In its latest interdisciplinary project Rundfunkchor Berlin has cooperated with Robert Wilson for the very first time. 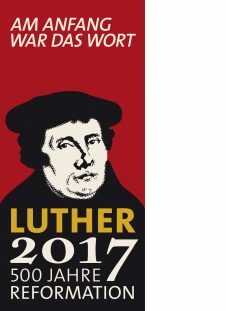 During ten sold out performances the genre-crossing project shone an unusual spotlight on Martin Luther: »LUTHER dancing with the gods« reflects Martin Luther’s life and impact on the arts and through the arts. The musical centrepiece is Johann Sebastian Bach’s four motets based on Luther’s translation of the Bible and Protestant chorales. Robert Wilson’s physical theatre will create a space for them to radiate and resonate. They will also be reflected in modern music through Knut Nystedt’s Immortal Bach and Steve Reich’s Clapping Music. Between the motets, Wilson is putting theatrical situations developed from Luther’s Table Talk, speeches and other texts connected with his life: on his disputations, on death, children, marriage and love. In the modern oval of Pierre Boulez Hall, Wilson’s associative, highly stylized theatre – strongly characterized by his individual use of make-up, costumes and lighting – will undergo a fascinating synthesis with Bach’s lofty choral music, opening up new ideas and perceptual spaces. Rundfunkchor Berlin’s interdisciplinary series has enjoyed increasing acclaim for years. The choir’s theatrical »physicalization« of the Brahms Requiem as human requiem made the New York Times’s list of »The Best Classical Music of 2016«. In its latest project, the choir is collaborating for the first time with Robert Wilson.